This small but very ingenious device allows you to rivet each 5/8 pitch connecting link with hollow pin head . You can press easily the loose side plate onto the pins. The exact distance, in order to obtain the correct pressure on the X-rings, is indicated. Afterwards you can easily rivet the hollow pin connecting link. This device belongs in the toolbox of every do it yourselfer. 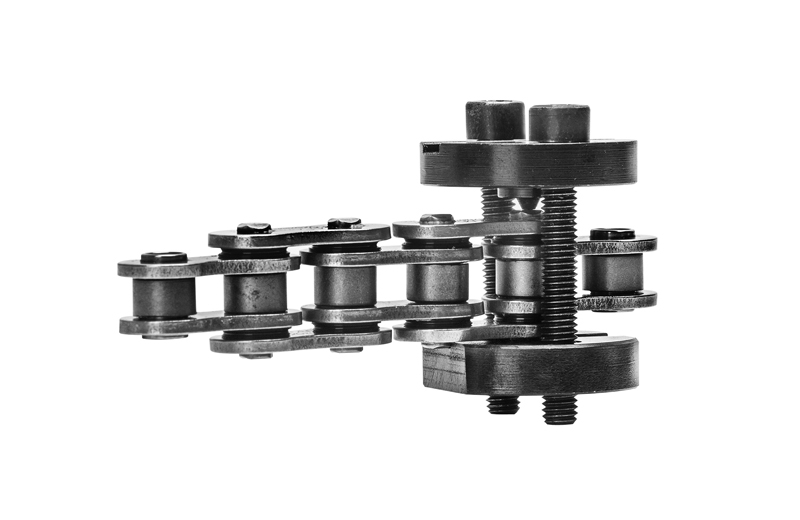 All DC and AFAM chains are equipped with a hollow pin rivet type connecting link.